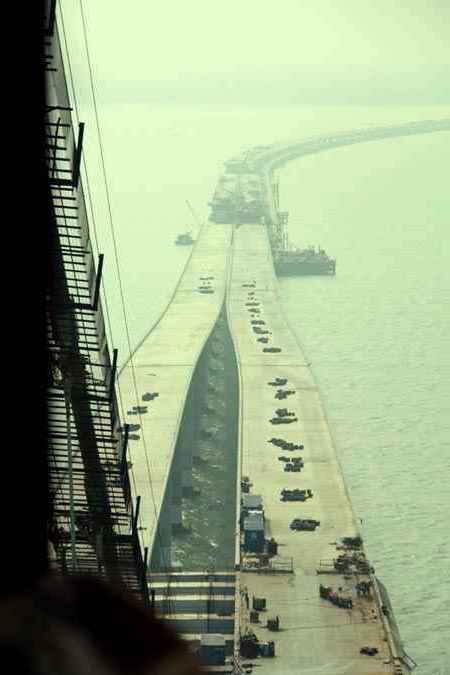 World's longest over-water bridge opens to traffic in China's Qingdao on the last day of June. It is 41.58km-long which connects the city of Qingdao with Hongdao in Chengyang District and the suburban Huangdao District across the waters of the northern part of Jiaozhou Bay in Shandong Province. This bridge started construction in 2006 and finished in December 2010. But it takes 14 years to plan since 1993, design was performed by Shandong High Speed Croup. which employed 30,000 workers to build, and used 450,000 tons of steel and 2.3 million cubic meters of concrete, with a total investment of approximately 9 billion yuan. 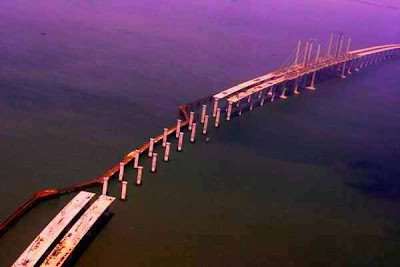 The bridge will decrease traffic time from Qingdao to Huangdao District by at least 20 minutes and release pressure on the Jiaozhou Bay Expressway. Furthermore, the Qingdao Haiwan Bridge is the starting section of national expressway from Qingdao to Lanzhou and the key part of high way net of Shandong. What are the Cascadia greatest earthquake? How does Ball Mill Work?